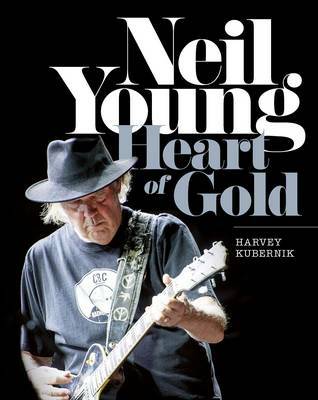 Respected journalist Harvey Kubernik charts every aspect of Neil Young's extraordinary career with the aid of exclusive interviews conducted with fellow musicians, record producers, music journalists, film directors and loyal fans. The period spanning Neil Young's debut with local bands in his native Canada through to his more recent record-breaking tours and his acclaimed 2014 album A Letter Home covers some 50 years. It encompasses a spell with the seminal West Coast band Buffalo Springfield, collaborations with Crosby, Stills and Nash, and a glittering solo career which began in the 1970s. The scale of Neil Young's achievements as a singer-songwriter and his longevity as an artist have given him a status and an influence that helped shape the history of popular music. Among those featured in this book are musicians Graham Nash, Nils Lofgren and Richie Furay, filmmaker Jim Jarmusch, photographer Henry Diltz, producers Jack Nitzsche and the late Kim Fowley, and many, many more. Along with a retrospective commentary on every studio and live album, this is the ultimate tribute to one of rock music's true giants.